Hospitals are like freeways. They are dangerous places but very useful when you need them. Both places are not safe to hang out unless you need to be there. Sometimes the risk just can’t be avoided. 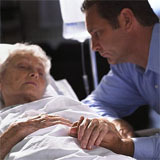 What can you do to reduce your chance of a bad outcome while hospitalized? Listen now!